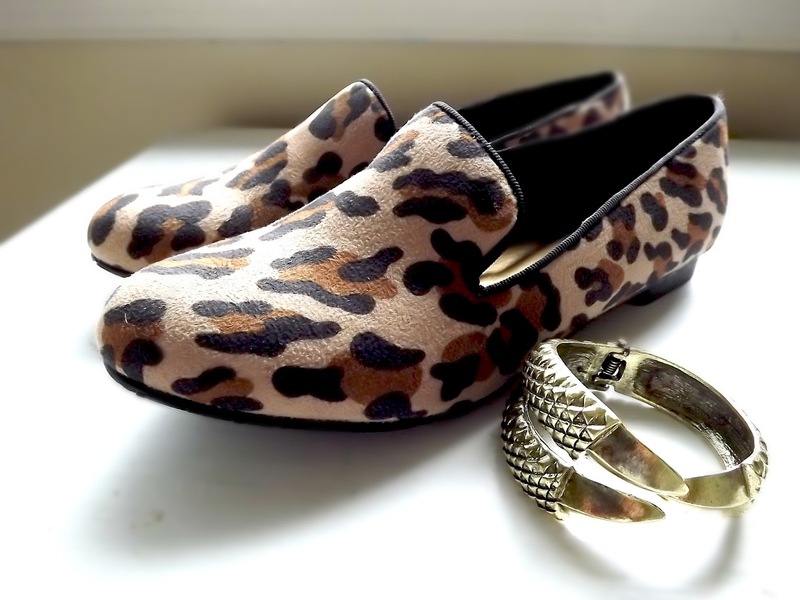 I bought these wonderful leopard print loafers today from Kohl's, I absolutely love them! I also bought a really cute (but painful!) claw bracelet! As you can see I have a lot of nail polish, I kind of have an addiction. I've been working on a nail polish haul/collection post for a while, so hopefully I'll be able to post an official nail collection sometime this month. I really have to stop buying nail polish, but it's just so hard!! I. WANT. THAT. BRACELET. Love it! I'm in love with leopard print, these shoes look fab! Also love the name of your blog, I'm also a short girl, heh. Thanks for commenting on my blog! I'm now following you, hope you will follow back. those flats are very cute and i like the glitter polishes you have! I just love your leopard shoes. I know what you mean about nail Polish I have a ton at home. Lovely blog by the way :). Wonderful collection of nails polish!! I like those loafers so much!! 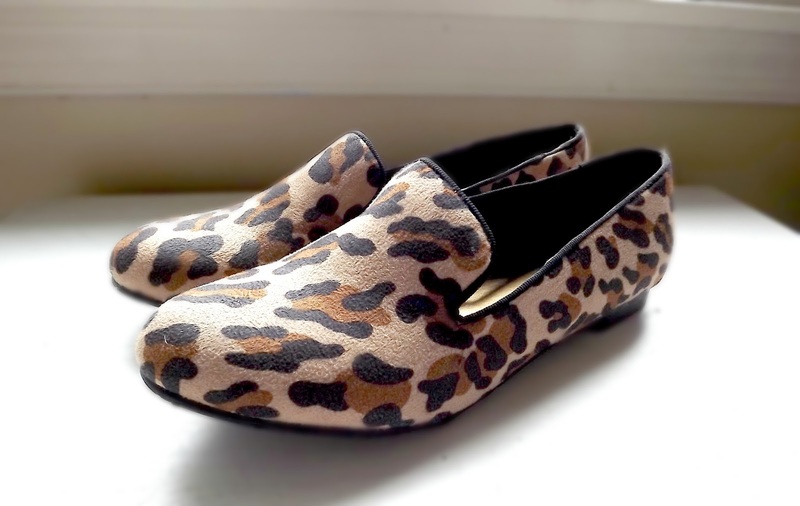 love Your leopard shoes <3 ! Nice nail polishes. It's like a nail polish heaven! Following you now (: Follow me too maybe? Wonderful leopard shoes. Have a nice day. Wow, I liked so much your bracelet! Thanks for visit my blog, if you want we can follow each other. 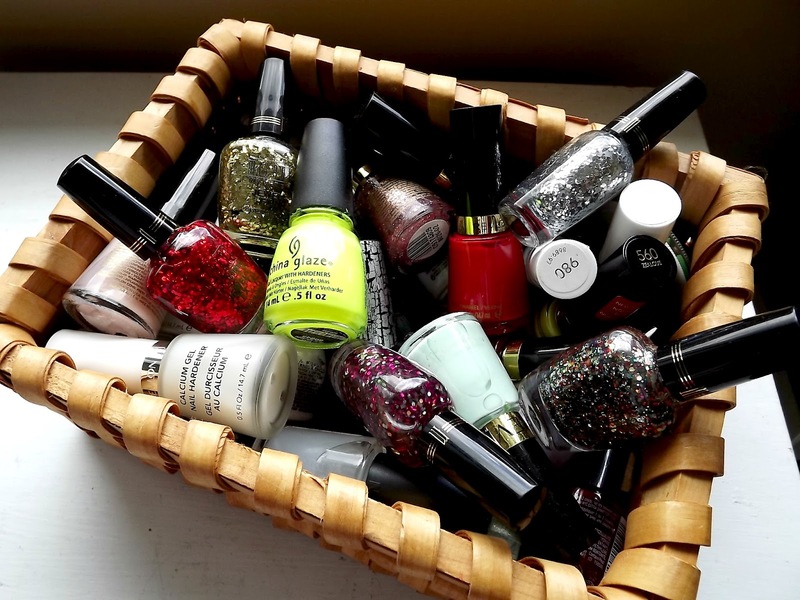 Every girl needs a basket of polish and a little leopard in her life! Oooh, I just love leopard print everything. I have three shoes with this kind of print on them haha. These shoes are too cute! The pattern and shape are perfect! i really love the leopard print shoes!! Love all of your polishes!! I love those shoes, and you have quite a collection of nail polish there! I actually just cleared out most of my nail polish a year or so ago, but it'll probably get out of hand again pretty soon! Wow I love your print loafers, I need one of this jeje. I love the nail polish in diferents colors!!! It's time for me to take a trip to Kohl's! Loving those shoes! Ahh i'm so jealous of that nail polish collection and that beaut pair of leopard prints!